Digital Switching by Raymarine brings all of the power and convenience of advanced home automation to your boat. Digital Switching allows you to control onboard electrical and electronic systems like lighting, air-conditioning, navigation lights, wipers, horns, entertainment systems, security systems and much more from your network-connected multifunction display, smartphone or tablet. Digital Switching by Raymarine replaces the standard mechanical circuit breakers and switches with a state-of-the-art digital power distribution. This system not only offers convenience and ease-of-use, it also delivers on the promise of seamless, reliable operation as well as simple and cost effective installation. Fully customisable screens. Assets may be dragged and dropped into any configuration. The diagram below shows a selection of the items you could control using Digital Switching. Instead of bulky and expensive switch panels, the Raymarine Digital Switching system uses rugged and compact Digital Circuit Control Modules (CCMs). Each CCM supports multiple circuits that are customised to meet the exact needs of the equipment being controlled. Each CCM connects to the vessel's existing NMEA2000 network backbone enabling it to communicate with the other CCMs and Multifunction Displays onboard. This flexible network architecture enables the CCMs to be mounted nearby to the equipment they are controlling. This significantly cuts down on the amount of cabling required to be installed onboard the vessel. 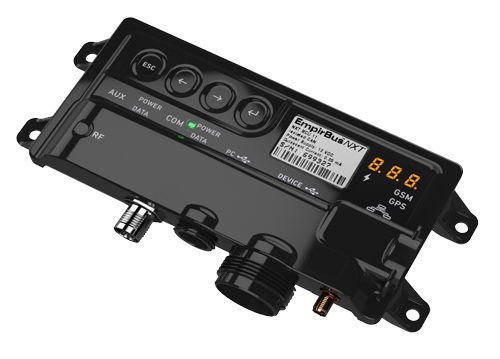 This benefits the boat builder and owner by creating a system that is simpler to install and troubleshoot than traditionally switched systems. Significant cost savings can easily be realised due to faster installation and reduced amount of cable required to wire the vessel's systems. In addition to wired controls, the Raymarine Digital Switching system also supports ENOcean wireless, energy harvesting switches and sensors. Completely freed from the constraints of wires, ENOcean wireless devices bring a whole new level of freedom and flexibility to yacht system design. Control your environment and onboard technology using Raymarine aSeries, eS Series, gS Series Glass Bridge displays as well as cSeries and eSeries displays. With Raymarine Control and Remote Apps, you can take control using a tablet or smartphone. The Master Control Unit is the central processor that drives the system, providing computing power, intelligence and decision making. In addition, there are various interfaces for connection to external devices and a remote control port. The MCU is an NMEA2000 device that talks to the other system components via the NMEA2000 network. The MCU stores and executes configuration files for installation holding data for every DC Module and Membrane Panel present. Should a Module or Membrane need to be replaced, the MCU distributes data to the replacement once the base address of the new component has been entered. 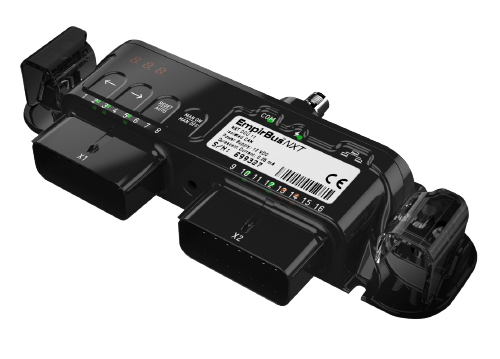 The Circuit Control Module (CCM) is an NMEA2000 device that is connected to the main DC Bus and provides inputs and outputs to the system. With multiple input capabilities and ranges, the CCM is an extremely versatile and cost effective means to interface signals to the system and when combined with the powerful software, complex monitoring and control systems are easily realized. In larger systems, the MCU stores the full configuration and ensures effective communication between CCMs. The MCU-200 adds GSM capabilities to the system. A dedicated SIM card slot allows the MCU-200 to connect to a mobile GSM network and communicate with a smartphone via text messaging. The MCU-150 offers a dedicated CAN-bus link to third-party systems such as air conditioning, battery management etc. Raymarine's Digital Switching System is ideally suited for new build yachts as well as vessels undergoing major overhaul or refit. If you would like to add Digital Switching to your vessel, speak with your boat builder / manufacturer who can advise you further. Digital Switching is compatible with the following Raymarine multifunction displays. Please note that you must be running version 10 software or later. You can download the latest update here. Digital Switching Systems are custom built and personalised to the individual's vessel and requirements. All configuration will be completed by the boat builder or shipyard. Learn more here. Users with a Digital Switching System in place should ensure that their networked Multifunction Displays are up to date with the latest LightHouse II software update. View details and download the latest software for free here. Complete the form to keep up to access the whitepaper. Raymarine's Digital Switching experts will work with the boat builder or shipyard to determine which inboard devices are suitable for Digital Switching Control, and where those items will be controlled from. A detailed list of equipment and their individual power requirements will be generated into a channel list that will be used to design the overall system. Next, Raymarine's experts will match that list of requirements and channels up to the best combination of specific CCMs and accessories. Finally, the customised touchscreen user-interface will be designed and uploaded into the vessel's Multifunction Display. CCMs, accessories and ENOcean components will then be rigorously tested to ensure the system is performing as-intended.